Posted on Tuesday, April 5th, 2016. - Filed under 75-Inch. When you consider Sony XBR75X940D, I’m quite sure that you also think about Sony XBR75X940C as its older model. As the new model, There’re few differences on Sony XBR75X940D although There also similarities between them. 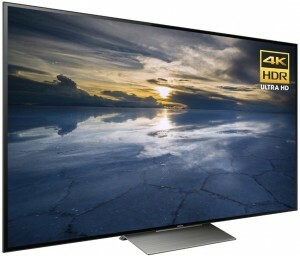 I’m quite sure that you are interested in knowing the similarities and differences of Sony XBR75X940D and XBR75X940C when you consider Sony XBR75X940D as your new TV. The next question is also why should you consider Sony XBR75X940D? This review will talk about the similarities and differences of those two TVs then see the reason why should you consider Sony XBR75X940D as your choice. What are Sony XBR75X940D and XBR75X940C Similarities? From the table above, We can see that there’re still a number of similarities between Sony XBR75X940D and Sony XBR75X940C. Let’s discuss more about those similarities together. Sony XBR75X940D comes with mostly the same picture technology with Sony XBR75X940C. They are both completed with X-Tended Dynamic Range Pro, 4K X-Reality Pro and X1 Processor. They also comes with the same Triluminos Display. With Triluminos Display, both Sony XBR75X940D and XBR75X940C are able to deliver more accurate color details with wider color spectrum. X-Tended Dynamic Range Pro is the technology that designed to deliver up to two times brightness than conventional LED. 4K X-Reality Pro is installed to bring brilliant picture quality from original 4K content sources or HD contents that upscaled into near 4K picture quality. X1 Processor deliver better color, clarity and contrast in combinations with other technology. Sony Android TV is used on both Sony XBR75X940D and XBR75X940C, although the one installed on Sony XBR75X940D is improved from the one that’s installed on Sony XBR75X940C. Sony Android TV is able to deliver premium entertainment, while It also can run Android based smart apps on its screen with access to huge collection of apps from PlayStore. In 2016, you can only find limited number of new TV with 3D feature installed on it. One of the TV that still comes with 3D feature is Sony XBR75X940D that comes with Active 3D alike its previous Sony XBR75X940C. With Active 3D feature installed on Sony XBR75X940D, you can enjoy lifelike 3D experience with 4K resolution. Sony XBR75X940D vs XBR75X940C : What are Their Differences? Next thing that We should discuss is the differences between the new Sony XBR75X940D and the predecessor Sony XBR75X940C. We can see their differences on the table below. I’m sure that now you already know the differences of Sony XBR75X940D and XBR75X940C from the table above. But I guess you also want to know more about those differences in details. Here We talk about the differences of those two TVs in details. We have talked about picture technology of Sony XBR75X940D that mostly the same with the older Sony XBR75X940C. But there’re 2 differences on the picture quality aspects of Sony XBR75X940D and XBR75X940C. Sony XBR75X940D is completed with the new 4K HDR technology, while the older Sony XBR75X940C is only HDR compatible. You can enjoy better picture details with 4K HDR technology that combined with other picture technology. Sony XBR75X940D comes with different motionflow XR rate than the previous Sony XBR75X940C model. Sony XBR75X940D comes with Motionflow XR 960, while the older Sony XBR75X940C comes with Motionflow XR 1440. Is it a significant difference? No, It’s not a significant difference since They are using the same 120Hz native refresh rate. How’s the result? Both of Sony XBR75X940D and XBR75X940C are able to deliver smooth fast motion images so that you can’t experience any motion lag when you are watching your favorite action movies and sports on this TV. Sony XBR75X940D comes with RMF-TX200U remote control that named Voice Remote control by Sony, while the older Sony XBR75X940C comes with RMF-TX100U remote control that called as Touchpad remote control. There’s a difference emphasize between RMF-TX200U that focus on the voice control, while the older RMF-TX100U emphasize more on the touchpad based control. Sony XBR75X940D comes with more standard speaker system than Sony XBR75X940C. Sony XBR75X940C use 2.2Ch and 90W power output while Sony XBR75X940D comes with 2.2Ch and 30W power output. So basically, you can find that Sony XBR75X940D is less powerful when It comes to sound output than Sony XBR75X940C. The new Sony XBR75X940D as 2016 flagship model is priced at more expensive price than the 2015 Sony XBR75X940C. We can say that the key difference of them is the 4K HDR feature. So We can say that We should pay higher price to get 4K HDR technology on the new Sony XBR75X940D. Why Should You Consider Sony XBR75X940D? Where’s The Recommended Place to Order? Related Post To Sony XBR75X940D vs XBR75X940C : Why Should You Consider Sony XBR75X940D? Vizio M75-E1 vs E75-E3 : Why the 75-Inch M-Series is better than E-Series? We should mention Vizio M75-E1 and Vizio E75-E3 as two choices that We should consider if We are looking for large screen 4K LED TV. Vizio M75-E1 and E75-E3 are two affordable 75-Inch 4K LED TV introduced.. If we talk about 75-Inch 4K UHD TV in 2019, we can find Samsung UN75RU8000 is one of the choice that we can consider. Samsung UN75RU8000 (UN75RU8000FXZA) comes as the successor model of Samsung UN75NU8000 (UN75NU8000FXZA) from.. The 940C also has HDR from the firmware upgrade. The 940D offers little to warrant the additional $3,000 price. You mention in a review on tvcomparison.net that the 940C 75 ” Sony has some HDR firmware upgrade – is this included ? 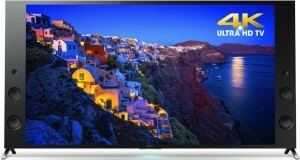 I am considering the 75″ 940D or Samsung K9000 75″. So just trying to decipher between Sony and Samsung and if can get the 940C with the HDR then that may save some money and make my decision easier. Thanks for any inout. The 940C absolutely has 4K HDR as the person above me stated it came with the firmware upgrade.